Early last week, students from the Center for Social Impact, Matt Eskenazi, Drew Fortson, Alan Jos, Ingrid Li, Christian Nast, and Michael Sun enthusiastically collected turkeys and other donated food items from Wooster families, faculty, and staff. The group headed over to the Danbury Whole Foods, who stored purchased turkeys for Wooster families for the Turkey Drive. The Wooster team rolled into the Daily Bread Food Pantry parking lot around 9:30 am on November 19, with 97 turkeys and several bags of other food items. Upon arrival to Daily Bread, Jill Shaw and Debbie Landzberg, the primary coordinators expressed their sincere gratitude to Wooster School for once again so generously providing turkeys for local families who are in need. This year, the Daily Bread planned on distributing food to around 500 families who experience food insecurity. Wooster School's continued help means a great deal. The Wooster team spent the morning at the food pantry, helping other volunteers sort produce and other food items, helped on the distribution line, and many helped people carry their food items while shopping. The Daily Bread volunteers noted that they loved the spirit that Wooster students bring with them to help others in the community, and that they really appreciated how Wooster students work hard and really dive in to any job that is asked of them! Thank you to everyone who supported the organization, promotion, and collection for this year's turkey drive. The success of the turkey drive was a result of the collective efforts of our students, families, faculty, staff, and the Board of Trustees. 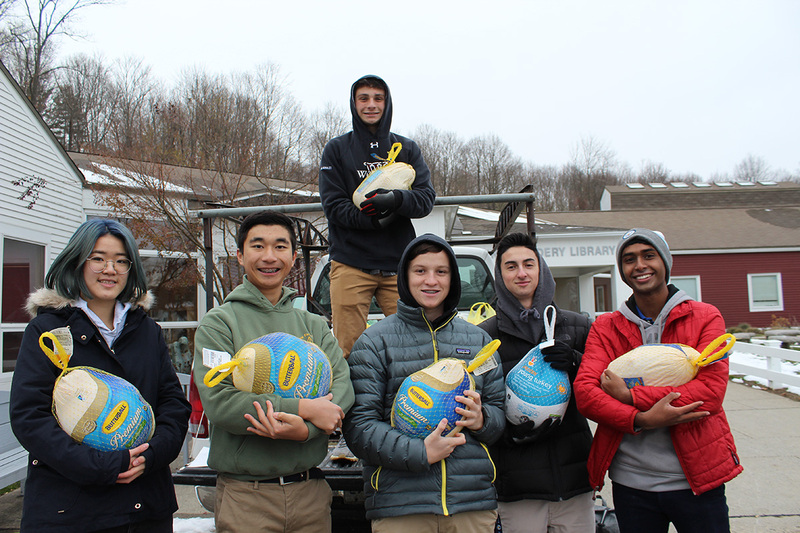 Special thanks to Noel Dominguez for helping to load, drive, and deliver the turkeys, and to the Danbury Whole Foods for helping to facilitate our turkey drive this year. Our collective effort speaks to the values that a Wooster education strives to instill beyond the classroom. For more information about or to volunteer with the Daily Bread Food Pantry, please visit: http://dailybreadfoodpantry.com/FoodPantryNeeds.html.